Greetings and salutations all you cryptofans, nerds and cool kids alike. How is your week going? We realize this Thursday’s edition is coming a bit late and it may be Thursday evening or Friday morning where you live, but we like to check in on you, see what’s up in your world of bitcoinage, and provide you with a quick recap of what’s happened so far this week. You can always chime in with your opinions if you want, either here or on our Facebook page, ask us any questions you might have, vent some rage, or just provide us with some informative commentary (that’s our favorite kind of “chime,” btw). So, what’s been up this week? BITCOIN, for starters! Did you see that massive surge to $7300 that happened just yesterday?? BTC reached yet another all-time high of $7354 on Bitstamp on Wednesday, blowing everybody’s minds, before quickly settling back down to around the $7000 mark, where it currently hovers. $7000 seems to be the new resistance level, meaning it will probably stay around there for at least a couple of days. Though you can never be entirely sure these days because BTC is currently more volatile than ever (yes, even straight upwards momentum is considered “volatility”). As we went over in last week’s Roundup, there’s a few things driving this exponential trajectory in price. The main factor is the inevitable launch of a bitcoin ETF. While we really don’t care what Wall Street’s top execs have to say about bitcoin (after proving themselves untrustworthy time and time again), positive statements from bailout recipients like Lloyd Blankfein, CEO of Goldman Sachs, certainly don’t hurt, and we expect more endorsements from “The Masters of the Universe” to come, even after shunning bitcoin entirely up until they realized they could make a quick buck off manipulating a financial tool that is highly manipulatable. By this, we mean Wall Street has far more “pump and dump” ammunition at their disposal than the biggest of bitcoin whales, and not that the bitcoin network itself can be manipulated by Wall Street. The other big buzz of the week is the fact that Amazon recently purchased three cryptocurrency-related domains, though nobody knows exactly why. It’s speculated they may begin using Ripple (XRP), not necessarily as a form of payment or currency, but for its integrated payment processing and platform services, which are comparatively lightning-fast to processing dollar-based transactions. By converting dollars to XRP, much of the red tape and bureaucratic hassle is instantaneously removed during the processing of money and value-based transactions. The price of Ripple enjoyed a rise to $0.28 a coin in October – probably based on insider knowledge of Amazon’s plans to adopt the payment platform – before sinking back down to $0.20. 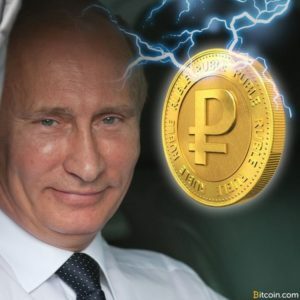 Another interesting story that we somehow missed last week was Russian president Vladimir Putin’s decision to back a national, government-backed cryptocurrency, to be called the CryptoRuble. The move comes as no surprise as Russia is the home of the biggest ICO of all-time (and bitcoin’s #1 rival): Ethereum. Putin’s meeting with Ethereum founder Vitalik Buterin earlier this year was seen as a largely positive indicator that Russia has big plans to integrate cryptocurrency into their own financial systems, similar to those of other crypto-friendly countries like Japan and the Philippines. Hong Kong and Macau, both independent territories within the country of China, are also home to some giant-sized ICOs as of late, but these have been attracting a lot of negative attention. China’s decision to ban ICOs caused a migration of ICO-minded developers and businesses to move to these territories as they do not share the same restrictions imposed on the rest of the country. 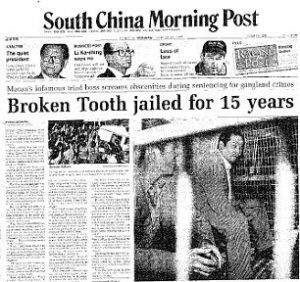 China promises the ban is only temporary until they can put regulations in place in order to clamp down on the massive amount of ICO fraud that had already been taking place in the country.